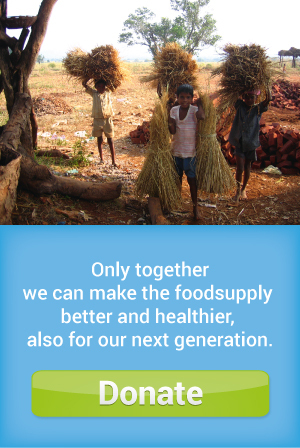 Hi all on my guest blog that I may write for Sustainable Food Supply! Each guest blog I’m going to tell you about my love for special natural products like organic edible plants and fruits. I will do that being as objective as possible by relying on scientific studies. At the end of each blog article you will find the resource list. I keep my blog articles short and encourage to do research independently. Healthy brains are needed to come up with hand implement ideas in the field of sustainable energy, food and water. A healthy set of brains must among other be nurtured and maintained and who is better equipped for that task than mother nature. That’s why, this blog I’ll write about coriander! Coriander or Cilantro is an annual plant from the Apiaceae family. Coriander is probably native to the Middle East and Southern Europe. Today coriander is cultivated worldwide, especially in the northern hemisphere, and can thrive at altitudes up to 2200 meters (Diederichsen, 1996). The plant itself does not reach heights higher than about 50 cm. Coriander contains a rich array of anti-oxidants, which help prevent cell damage related anti-aging. These anti-oxidants include phenolic acids such as quercetin, coumarins (contained by in the small seeds of the coriander plant) and carotenoids (Bajpai, Mishra, & Prakash, 2005). Additionally, coriander is rich in beta-carotene, which can be converted by the body into vitamin A, it contains vitamin C, and is very rich in vitamin K.
It is one of the plants, known by humans, that are richest in the anti-oxidant quercetin. Quercetin reduces harmful effects of a hormone balance disruptive ingredient in some plastics, namely bisphenol-a (Sangai & Verma, 2011). Bisphenol-a is a substance we get in our body, for example, through packaged foods of which the packaging consists of certain types of plastic. Substances in these certain plastic packages can then leak into the food. (Staples et al., 1998). The main reason I want to make notion of cilantro is the role it plays in the detoxification of excess heavy metals including aluminum. There is the notorious factor of aluminum, a poison that is damaging to our brain cells when it accumulates in these cells, in the etiology of Alzheimer’s disease. Enas in his 2010 animal model study on this subject showed that cilantro can not only prevent aluminum poisoning but also restore damage caused by aluminum toxicity! Besides the detoxifying properties it is not a well known fact that coriander has a proven potential to reduce anxiety (Mahendra & Bisht, 2011) and that it can also relieve insomnia symptoms by improving sleep quality. (Rakhshandeh, Sadeghnia, and Ghorbani, 2012). Several studies show that coriander can decrease and hence be of positive effect to high blood sugar levels. Therefore it can improve health in persons suffering certain kinds of diabetes (Sreelatha & Inbavalli, 2012). Although coriander is known as a detoxifier, there exists a very small portion of people to whom the plant itself can become poisonous and hence cause an allergic reaction (Suhonen et al., 1979). The presence of people with nut allergies usually does not seem to inhibit people without nut allergies in their nut consumption. In the same way I also hope that the presence of a few suffering allergy to the Apiaceae family, which includes coriander, will not reduce the consumption of this plant by others. But of course there is also the matter of taste. I know of people who experience a soapy taste in the mouth when eating coriander and therefore avoid the plant. Personally, I think cilantro tastes delicious. However, in the case of taste aversion, I would still recommend tolerating the taste of Coriander anyway for the sake of its health benefits! Bajpai, M., Mishra, A., & Prakash, D. (2005). Antioxidant and free radical scavenging activities of some leafy vegetables. International journal of food sciences and nutrition, 56(7), 473-481. Mahendra, P., & Bisht, S. (2011). Anti-anxiety activity of Coriandrum sativum assessed using different experimental anxiety models. Indian journal of pharmacology, 43(5), 574. Nambiar, V. S., Daniel, M., & Guin, P. (2010). Characterization of polyphenols from coriander leaves (Coriandrum sativum), red amaranthus (A. paniculatus) and green amaranthus (A. frumentaceus) using paper chromatography and their health implications. Journal of Herbal Medicines and Toxicology, 4(1), 173-177. Rakhshandeh, H., Sadeghnia, H. R., & Ghorbani, A. (2012). Sleep-prolonging effect of Coriandrum sativum hydro-alcoholic extract in mice. Natural product research, 26(22), 2095-2098. Sangai, N. P., & Verma, R. J. (2011). Quercetin alleviates bisphenol A-induced changes in nucleic acid and protein contents in mice. Acta poloniae pharmaceutica, 68, 867-873. Sreelatha, S., & Inbavalli, R. (2012). Antioxidant, Antihyperglycemic, and Antihyperlipidemic Effects of Coriandrum sativum Leaf and Stem in Alloxan‐Induced Diabetic Rats. Journal of food science, 77(7), T119-T123. Staples, C. A., Dome, P. B., Klecka, G. M., Oblock, S. T., & Harris, L. R. (1998). A review of the environmental fate, effects, and exposures of bisphenol A. Chemosphere, 36(10), 2149-2173. Suhonen, R., Keskinen, H., Björkstén, F., Vaheri, E., & Zitting, A. (1979). 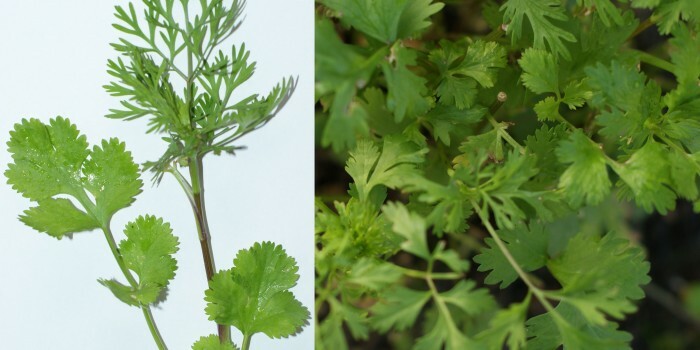 Allergy to Coriander A Case Report. Allergy, 34(5), 327-330.